Over a period of 12 years, Far Western has carried out cultural resources inventories of nearly 8,000 miles of rural highways in California for the California Department of Transportation (Caltrans), under the Transportation Enhancement Act (TEA). In the process, we have developed and refined the Caltrans Cultural Resources Database for TEA projects in seven of the 12 Caltrans districts. Each of these studies included a records search, inventory, geoarchaeological assessment, ethnographic research, and Native American consultation. These inventories provided the various Caltrans districts with information about the location, character, and condition of cultural resources within their rural highway right-of-way. 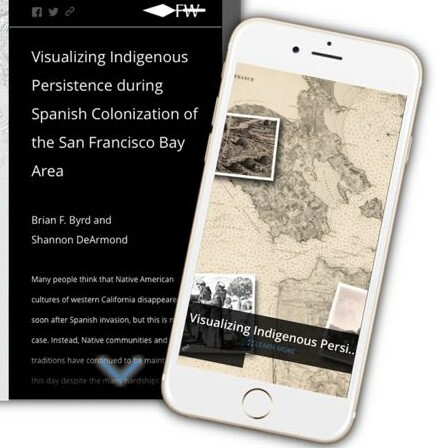 This was combined with existing data gathered from the California Historical Resource Information System (CHRIS) Information Centers, state and federal agencies, and other sources of previous studies, existing site records, and historical maps and documents. The results—GIS data on site locations—were integrated into a new database developed by Far Western and used by Caltrans as a standard for maintaining cultural resources information in digital format. The new database includes a Microsoft Access application that contains the California Department of Parks and Recreation (DPR) 523 forms, links to a library of PDF files of archival site records, and management-related information such as National Register of Historic Places status and maintenance activity restrictions. It is indexed and easily searchable by county, route, post mile, and Caltrans project, and can be used alone or in conjunction with a variety of GIS layers. Most notably, the geoarchaeological study for Caltrans District 4 has been published under the title Landscape Evolution and the Archaeological Record: A Geoarchaeological Study of the Southern Santa Clara Valley and the Surrounding Region by the Center for Archaeological Research at Davis, and won the 2005 California Preservation Foundation Design Award. Authors Jack Meyer and Jeff Rosenthal also won the Society for California Archaeology’s Martin A. Baumhoff Special Achievement Award for their study.